Posted by Candie Kates on Aug. 16, 2016 10:32:20. Nowadays, with the increasing interest towards smartphones and the ability to shot amazing photos, more and more people decided to buy an Android phone. As compared to other mobile OS, Android is the most user-friendly one for daily usage and is available at different cost ranges. Many of us are highly satisfied and proud of owning an Android phone. However, accident deletion is one major drawback that happens frequently on Android due to wrong touches. This could be highly frustrated, particularly for individuals, who have stored some precious photos on their phone and got them deleted by mistake. If you were in such a situation, there is no need to worry about this, as there are a couple of proven solutions out there. You are not alone in here because many Android users face this issue at least at some point of their life. I will share three proved methods to help you recover the deleted or lost photos due to wrong operations. When you got a new Android phone, the first step is to set it up properly. 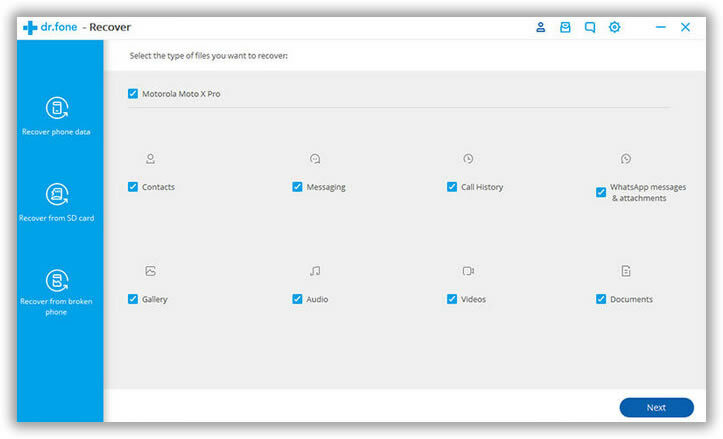 During the setup, you need to sign in or create a Gmail account (for Nexus phones) or an account for specific brand, which will be used in further services, such as data backup. So if you enabled the backup feature with the account, then you can restore the deleted photos from those backups. Just go to the official website of your phone and sign in your account. Navigate to backup page, and then you can see the photos already backed up. If you didn't enable this feature but chose to sync photos with cloud service such as Dropbox, Google Drive or OneDrive, then you can also find the deleted photos in there. So check whether there was such an app installed on the phone. If yes, then it is highly possible the photos were in there. Even without backup, you still have chance to recover the deleted photos. The requirement is to use third party Android data recovery software. TunesBro DiskLab for Android is a full-featured data recovery tool designed for Android users. This software will help you recover the photos from the internal memory or SD card. The most worthy feature about this application is that it will give you the option to preview deleted photos before you actually click the recovery button. From the preview option, you can actually select only important photos that you want to be back and just recover the selected ones alone. 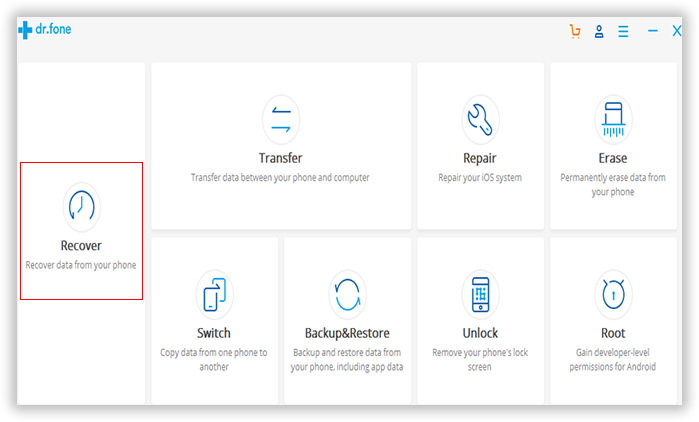 No matter the photos being deleted for what reason such as wrong deletion, virus attack, system crash, software update or factory reset, DiskLab for Android is able to get back those deleted photos in a safe way. Android Phones: Samsung, HTC, HUAWEI, Sony, LG, Motorola, OPPO, Vivo, Lenovo, Xiaomi, ZTE and many others. Type of Data: Photos, SMS, Contacts, Music, Video, WhatsApp and Documents. DiskLab is desktop program that runs on computer so you need to download it first. After download, install and open it on the computer. For Mac users, please drop us an email, we will give you details to solve the problem. 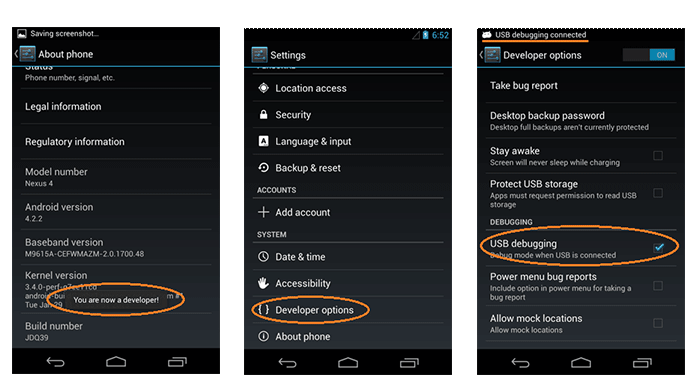 For Android 4.2 and higher: Settings -> About phone, tap Build number seven times to unlock Developer options. Now back to Settings and find Developer options, turn on USB debugging on there. Please note: You need also root the phone before data recovery. This will make sure all the deleted photos being scanned by the program. Without rooting, only part of the photos will be detected in default. Don't know about rooting, then you can check this Android rooting tutorial. Now connect your Android phone to the computer with the USB cable. Your phone should be detected by the program in a few seconds. If not, then you should install the latest Android USB driver for the device. Once the phone detected by DiskLab for Android, click "Next" button to start the file scanning process. It will scan all the files on that Android phone. This step will take 5-10 minutes depending on the device. Please keep the phone well connected during this step. All the scanned files will be displayed on the screen after scanning is done. Files are grouped into different categories. For photos recovery, please click Gallery tab on the left sidebar, which stores all the scanned photos. Kindly preview and check the photos you are looking for. Finally, click "Recover" button to restore those deleted photos to computer. 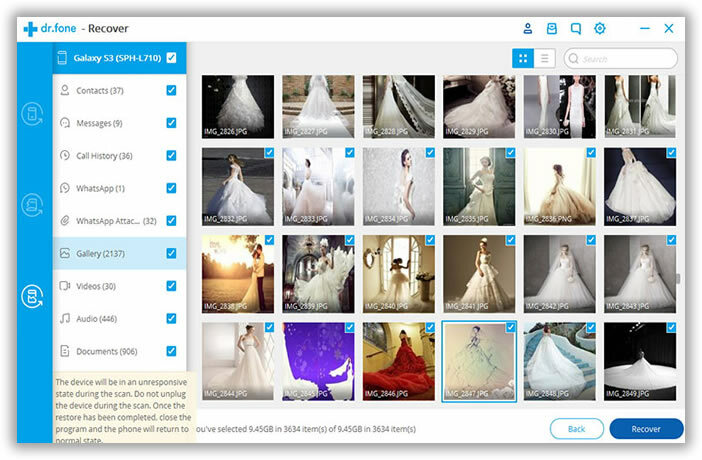 When you choose a recovery tool for getting back the lost photos from your phone, it is highly important that you should select the one that supports multiple file formats (e.g. contacts recovery or messages recovery). For instance, as soon as the application is installed, it should scan all types of lost files like messages, phone contacts, WhatsApp messages, audio and video files, inclusive of photos. This means that it should show you a list of files on preview so that you can find some deleted data from your phone that you are not aware of. Usually, repair shops have more sophisticated tools for data analysis and recovery. They use more professional toolset to identify the lost photos. This is some thing like hacking. The reason why I don't recommend this in first place because it is too expensive. The program costs thousands of dollars as well as the overpriced service rate. They will charge you first no matter the photo was recovered or not. So basically, this is not a good choice for most of the people. However, if the photos were too important for you, then you can still give it a shot. Try you best to find a large and reputed workshop as they have better equipment and employee. Please remember, don't pay for too much money as deposit because no one on earth would guarantee 100% recovering the deleted files on mobile phone.